As the individual reading, this will be aware from their Oncologist; cancer treatment can cause loss of scalp hair while others experience no change at all. It’s enormously important to the patient following diagnosis to know whether their hair will fall out. Chemotherapy kills off the cancer cells and therefore inevitably other healthy cells in the body including the hair cells, which can cause the hair to start to fall out within 2-3 weeks of treatment. Certain medicines can cause body, pubic and facial hair loss but any hair loss depends on other factors such as The type of drug or combination of medications you are taking, the dose, your sensitivity to the drug, and the duration of treatment. In some cases, a ‘cold cap’ can be worn during chemotherapy, minimize or prevent hair loss. The hair loss is temporary, and in 99.9% the hair completely grows back. The time in which hair takes to regrow varies from person to person. Some people find that their hair grows back curly when before it may have been straight or vice versa! Others find that the hair is a different colour. However, these changes are usually temporary but rarely permanent. Some people decide to cut their hair much shorter or even shave their hair off as the hair starts to fall, this could give the sufferer a sense of control where so many elements of cancer take this feeling away from them. This could lessen the upset. For those who have been informed they are fortunately not going to lose their hair. Then colouring can be continued during treatment provided the hairdresser has been advised of the situation. If a wig or hair piece is the desired choice, this will in no way impede the growth of the hair in future. Some people report the scalp can feel a little tender and opt for a silk scarf, daily shampoo is fine and may relieve any itchy sensation. Radiotherapy can cause localized hair loss. When being applied to the scalp at the site of entry and exit of the rays. Often, this can be permanent. Your Dr will guide you on this. The condition and texture of the hair can also change. Use gentle hair products, ideally no perfume or colour shampoos. Check with your radiotherapy nurse if you can use products on the area treated. Brush your hair gently and a hair scarf or turban could be worn at night. Reduce the heat and frequency use of hair dryers or straightening irons. Some patients I see the report that during and after treatment they prefer to use silk or naturel fiber pillow cases to minimize skin irritation, as it can feel dry and itchy. A non-perfumed moisturiser can be used and the scalp must be protected well from the sun. This can be achieved with both a hyper allergenic SPF factor 50 and a sun hat. Many cancer treatments can cause hyper pigmentation issues so this would help on the body too. While normal regular washing can resume following treatment, it is suggested that the use of massage isn’t used. It is not true that this stimulates, aggressive massaging can cause the small hairs growing through could be damaged or rubbed away. A patch test before the first tint following treatment is a must, the scalp may react or be more sensitive after and the colour may not take as it used to. 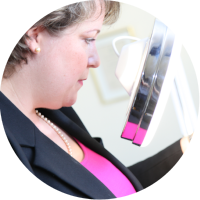 At Sussex Trichology, we can help you soon after your treatment has finished. There are certain things you must and mustn’t do to ensure the hair grows back strong. We can advise if more specific hair related to blood testing is necessary, in addition to those your Dr requires. We can offer the full support and advice needed to help the hair. In cases where permanent hair loss has occurred on the scalp, in certain cases it is possible to transplant into this region. An amazing and inspirational book to read is “Go with the flow” by Gemma Levine. Not only is it a factual book based on her cancer survival story but has chapters written by Surgeons, Oncologists, GPs, nurses, Trichologist sand nutritionists. As a patron of the Little Princess Trust, I encourage anyone cutting any longer lengths of hair to this worthy charity. They use donated hair to make into wigs for children which they supply free of charge, please see here an article about one of the many occasions I have promoted.